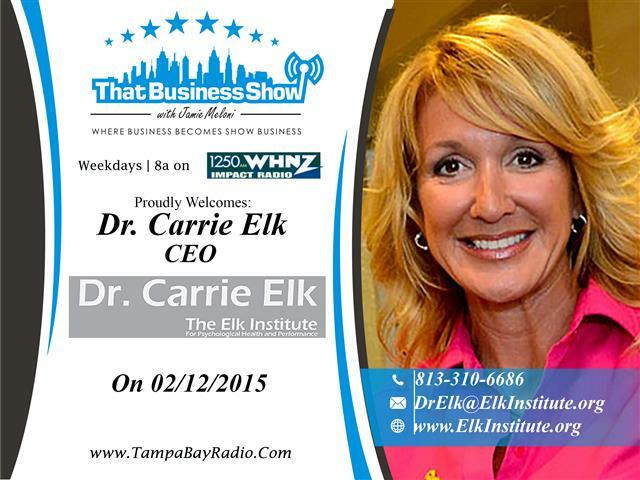 Today on That Business Show with Jamie Meloni, I spoke with Dr. Carrie Elk, founder of The Elk Institute at the top of the hour. She has been in the mental health field for more than 20 years and specializes in alternative treatments for Veterans with Post Traumatic Stress Disorder (PTSD). She is an Honorary Wing Commander for the 927th Air Refueling Wing at MacDill Air Force Base and also serves as a member of the (ESRG) Employers Support of the Guard and Reserve, and the Florida Behavioral Health Alliance. She travels around the country speaking on mental health and performance topics and offers treatment to warriors and their families in need. Her services are free of charge to Veterans and to learn more reach out to Carrie at her website http://www.elkinstitute.org or via phone at 813-310-6686. At the bottom of the hour, Jim Yeager of Yeager and Company joined me in studio for his weekly Remodeler’s Corner segment. Yeager and Company is a 3rd generation General Contracting firm specializing in Flooring and Remodels but is available for any of your Construction needs. We spoke today of what is hot and new with wood floors and also ways consumers can help protect themselves against fraudulent contractors. 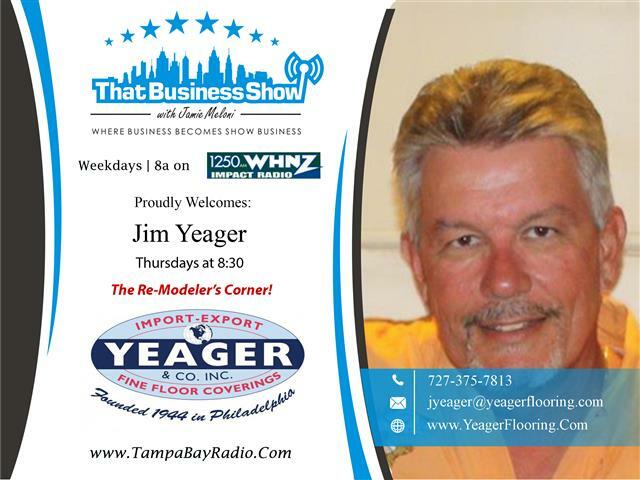 Learn more about Jim and his company at http://www.yeagerflooring.com or via phone at 727-375-7813. You may also email him at jyeager@yeagerflooring.com.